1 lamb shank, 2 1/2 lbs. Put soy sauce and dry ingredients in a food processor. Use steel blade. Add olive oil blending to make a smooth paste. 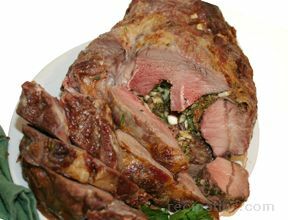 Cover the lamb with part of paste and refrigerate for several hours. Reserve remainder of paste for a sauce. 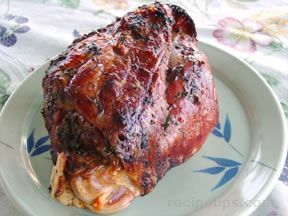 In oven preheated to 450°, roast lamb for 15 minutes. 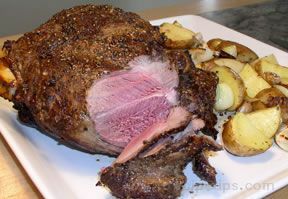 Reduce heat to 350° and roast lamb for 10 to 12 minutes per pound for medium rare. (Meat thermometer should register 140°.) Let stand for 15 minutes, then slice and serve.